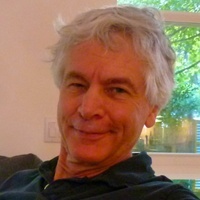 R. Mark Sainsbury is a philosopher from the United Kingdom who has worked in the areas of philosophical logic, philosophy of language, and the philosophies of Bertrand Russell and Gottlob Frege. Sainsbury taught for many years at King's College London, and became professor of philosophy at the University of Texas at Austin in 2002. (He still teaches in the summer months in London.) He was editor of the leading philosophy journal Mind from 1990 to 2000. He is also a Fellow of the British Academy.